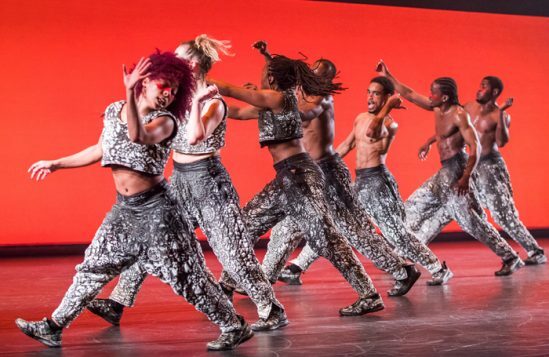 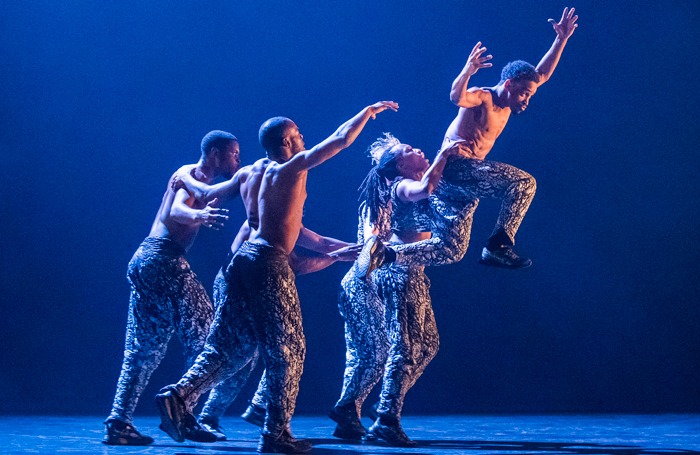 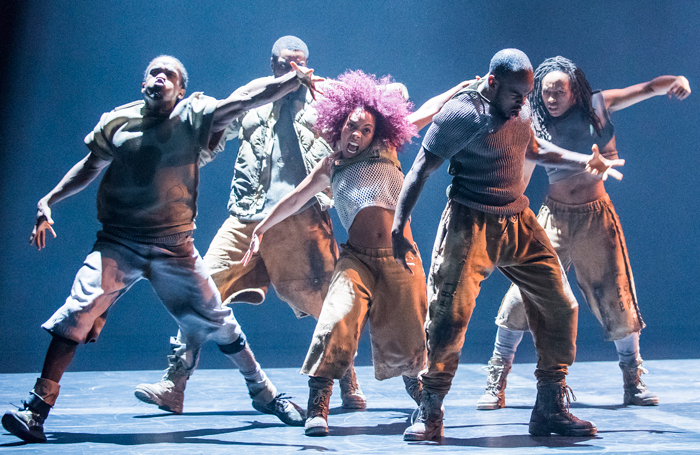 In Blak Whyte Gray, hip-hop dance company Boy Blue Entertainment extend the expressive capabilities of their form in fascinating style. 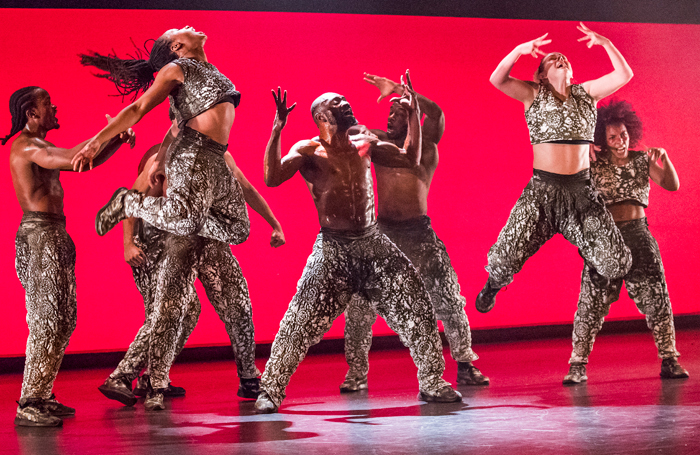 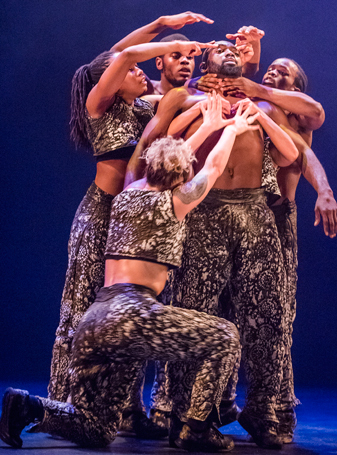 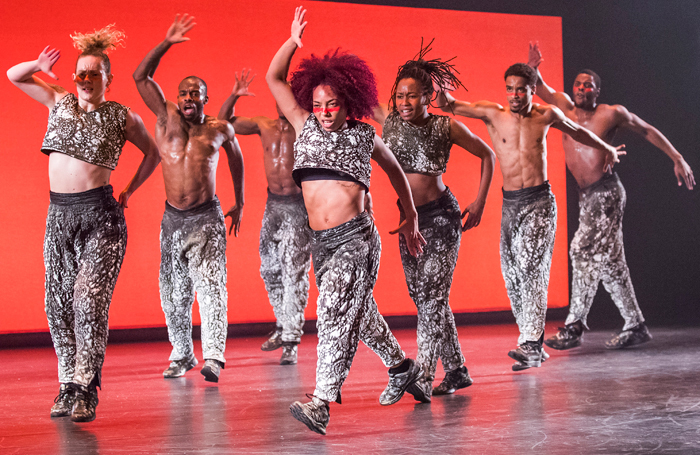 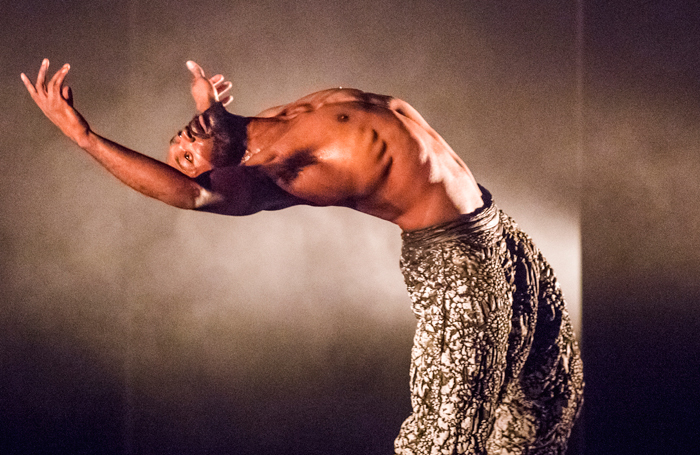 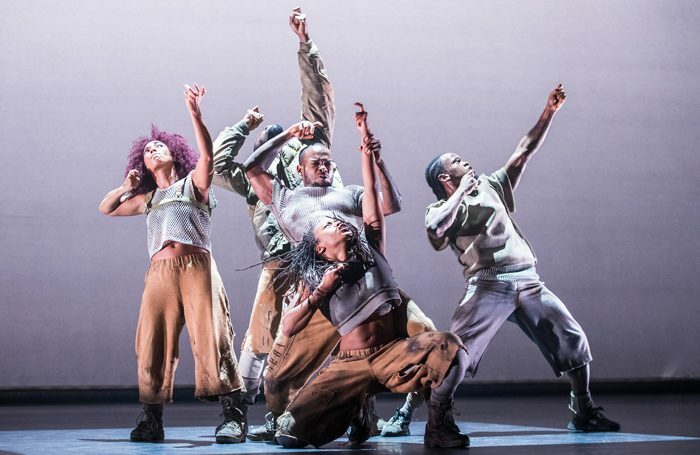 Choreographed by Kenrick Sandy and set to a juddering electronic score by Michael Asante (both company co-founders), it’s an undoubtedly political work, full of rage and cultural reverence made vivid via the awesome physical articulacy of the dancers. 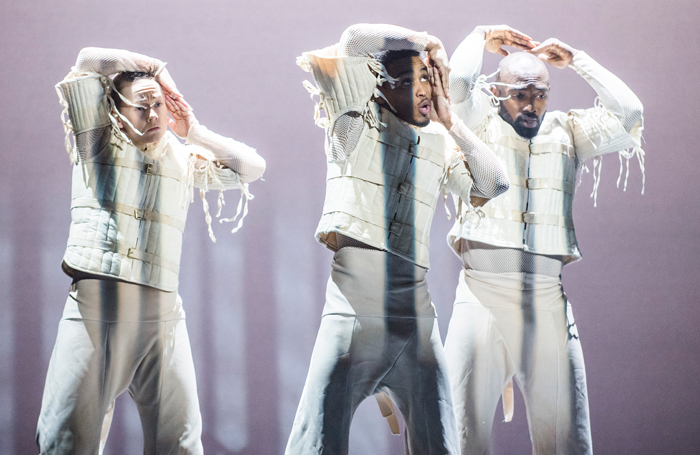 In the first section, Whyte, three dancers appear in a block of light on a bare stage, their torsos clad in strait jacket-ish garments. With the ramped-up kinetic energy of manic Coppelia dolls, they begin an incredible display of popping and locking their joints – technically it’s sensational, but there’s no celebratory funk here. 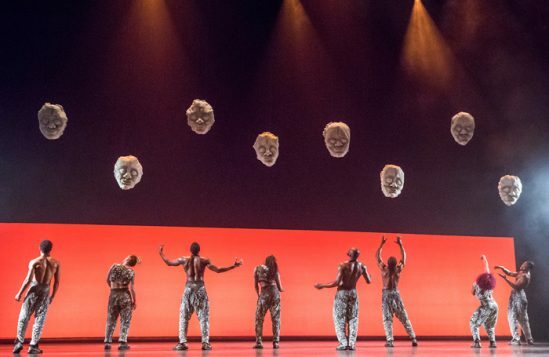 The sense of constraint, of faltering, brings a curious pathos to the piece, although the end sequence in which the dancers freeze with their faces contorted by silent screams seems a little on the nose by comparison. 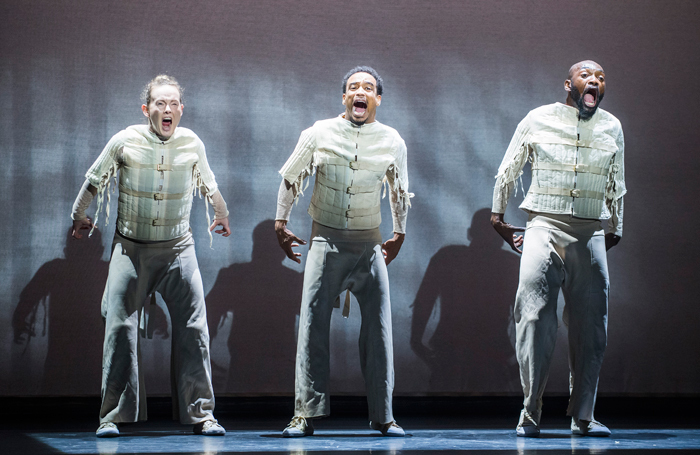 The same could be said, in part, of the second piece, Gray. Here, the ensemble of eight transform into a kind of frenzied militia, charged by convulsive currents of motion into ever-changing formations. 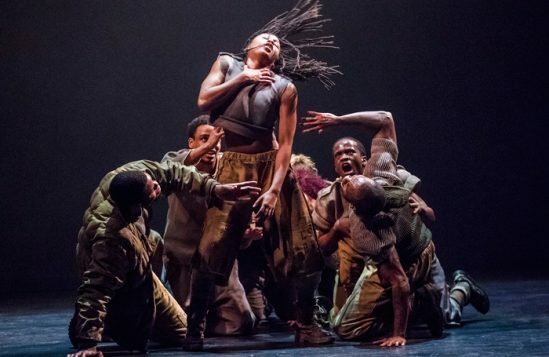 Again it’s a tour de force, full of frustration, but the potency is diminished by the somewhat obvious repetition of gun-firing and grenade-throwing gestures. 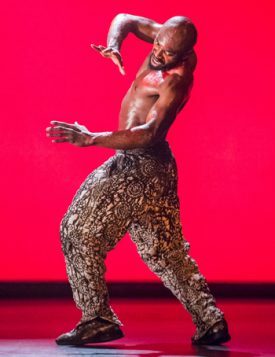 In the final section, Blak, the scrim turns a deep and warm red, as the dancers let rip and release ecstatic waves of motion: percussive feet, rippling torsos, wonderful articulations in the hips and shoulders. It’s pure physical poetry – a joy to watch.